The cost for campers and buddies for 2019 is $120.00. This cost includes your lodging, all meals/snacks, activities and camp t-shirts. For 2019, the BGCO is required to perform background checks on all campers, buddies and volunteers ages 18 and older. This cost is included in your registration fee. Camp Perfect Wings is our primary tool for special needs. It is an amazing camp held once a year in the Spring/Early Summer and is designed especially for Kids & Adults with special needs who are age 8 and up. 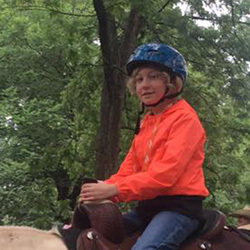 It includes guided activities like music, crafts, games, water games, target sports, motorcycle rides, horseback riding, cookout, and more! 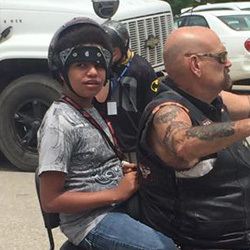 At Camp Perfect Wings, there are 2 types of attendees: Campers and Buddies. Below are the descriptions for each. 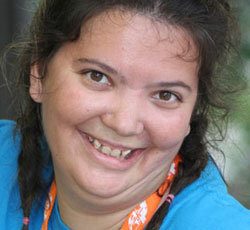 Campers are children and adults from age 8 and up who have intellectual or developmental disabilities. 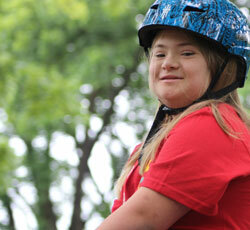 During the camp, Campers will enjoy games, activities, worship & Bible time designed with their special needs in mind. *Campers must have no life-threatening condition nor contagious disease. All disabilities must be listed on the online registration form. A responsible adult or teen, designated as a Buddy, must accompany each Camper. One Buddy may accompany up to three campers. Campers requiring assistance with mobility or behavior management must provide one-on-one staffing during the duration of the event. Please read the Policies and Procedures of Camp Perfect Wings for more details. The camp medical staff will administer ALL medications (over-the-counter and prescription). All medications must remain in its original container. Medication will be securely stored in the Nurse’s Station. All medication must be brought in its original container. This container must be placed inside another container or zipper bag with their name, times & instructions for taking the medication. Please ensure that all information is clearly printed. Medications will be given to the Nurse at the Nurse’s Station when the Camper arrives on the first day of camp after Registration. Beginning in 2019, all campers and buddies age 18 and older must complete a background check through the BGCO regardless of their mental or physical status. All meals are included in the registration fee. Each camper will also be given tickets to “spend”, but it is not necessary to send additional money. No food is permitted in the dorms. 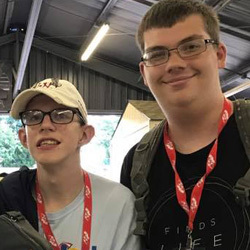 A buddy is a responsible adult or teen (16 years and up) who has the desire to serve with those with Special Needs. They can be people who have worked or currently work with special needs individuals, are family members of special needs individuals or anyone else who wants to serve those with special needs. Previous experience working with special needs individuals is NOT required. A buddy may accompany up to 3 Campers. 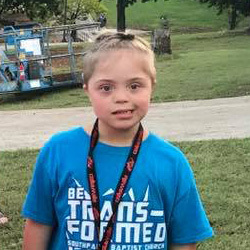 Campers requiring assistance with mobility, behavior management, or skills, will require one-on-one staffing during the duration of the camp. Background Checks are required for all Buddies and Volunteers over the age of 18. All background checks must be completed within 18 months of the end of camp. Background checks must be completed through the BGCO. No outside background checks will be accepted. 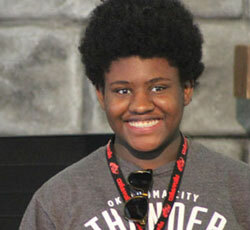 Buddies will be sent a link to complete the secure, online background check upon their registration for camp. 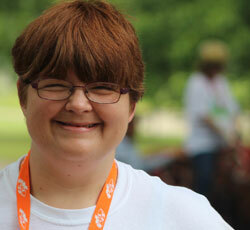 Churches and Groups are encouraged to bring their Special Needs Campers and Buddies together to camp. This makes camp more effective and comfortable for both Campers and Buddies. Churches and groups who attend together are grouped together for activities and dorm assignments. This can be printed and used to help Buddies keep track of when their Camper needs to take medication. Have parent/guardian complete and then laminate or put in a badge holder to be worn on the Buddy’s lanyard at camp.